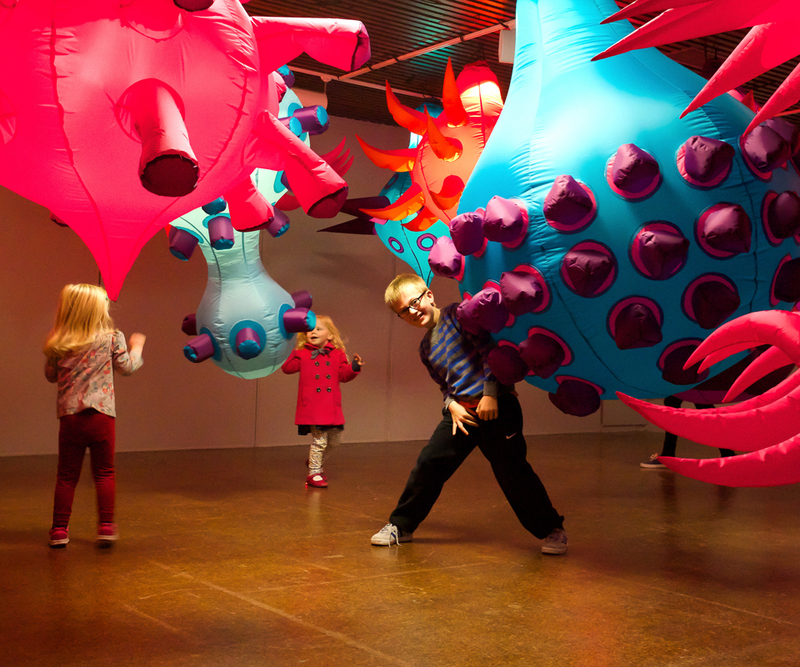 Our Gallery will be transformed by a glowing landscape of suspended inflatable microbe pods of differing shapes and sizes. This interactive exhibition is inspired by the beautiful microscopic imagery of bacteria and cells that live within us. Visitors can walk through the pods causing them to sway and bump into each other. Every few minutes the suspended forms will slowly deflate and then inflate as if breathing, creating a mesmerising spectacle. This exhibition promises to be a fascinating family friendly exhibition and not one to be missed!